Tri-Tech understands the importance of having customer support with retail industry experience along with knowledge of software, hardware and networking for our users. 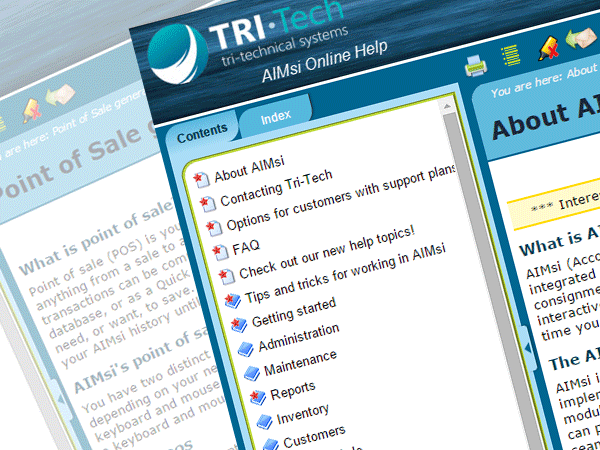 With your initial purchase of AIMsi the first 45 days of Maintenance is free. After the initial 45 days, continuing with a Maintenance Plan will ensure that your access to our experienced support team remains, along with access to our member portal, ability to download updates and receive discounts on major version upgrades. Updates are available within Member Portal with 24 hour convenient access to obtain updates on your current version of AIMsi. Updates may include minor performance impacts, security updates and bug fixes. Upgrade discounts are available when switching from versions of AIMsi, v11 to v12 for example, which include major feature enhancements and interface updates. Tri-Tech offers a number of training options for its software products. Training videos are available to download from the Member Portal. The training videos are brief and cover specific functions within AIMsi. You must have a current maintenance agreement in order to gain access to the Member Portal. A Tri-Tech trainer will travel to your store for personalized training on all areas of the software you would like training on. Rates starting at $150 per hour plus travel expenses. Typically 1 to 1.5 days is sufficient for in-depth training. Travel to our offices for personalized training on all areas of the software you would like training on. Rate is $125 per hour. Schedule hour increments of online training, personalized specifically on areas you would like to focus on. Sessions are recorded for future review. Starting rate is $125 per hour. The Member Portal area is accessible to those AIMsi , Active-e and PC Poll customers with a current Support Membership. Access the Passport Forum, an area to post questions and comments regarding AIMsi, Active-e and PC Poll for other users to respond to, as well as Tri-Tech technical support representatives. The Forum also contains an area where you can view training videos. The online help manual is there for you, 24 hours a day and 7 days a week, right from your POS interface. It's your how-to and what's-that guide for AIMsi. The online help is regularly updated and includes common FAQs, quick-tip guides, and an option to send us your feedback. Here for you! Friendly, reliable and accessible support. Call sales at 800-670-1736 for pricing and to sign up for a contract. Monday through Friday : 8:00 AM - 5:00 PM Central Time. What Technical Support covers : Our Technical Support and Assistance consists of unlimited technical support covering all components and features of the program, use and application. The greatest majority of technical support issues are resolved over the phone with a single call. What Technical Support does not cover: We cannot accept the responsibility of providing technical support on software from other vendors, including Windows and the various Internet browsers, Networking setups and Hardware items in general. Tri-Tech does offer separate support for hardware, printer & networking issues as our goal is to cover any issues you are experiencing with one phone call as we care about your success and know your time is valuable! Please visit our First Call IT Service page for more information. "How to" training is not covered under normal technical support. Tri-Tech will provide this training at an hourly rate by appointment only. Please visit our Tri-Tech University information page for AIMsi training options. Tri-Tech reserves the right to make policy changes. Active-e customers hosting with Tri-Tech receive 3 hours of free design time and/or consultation. 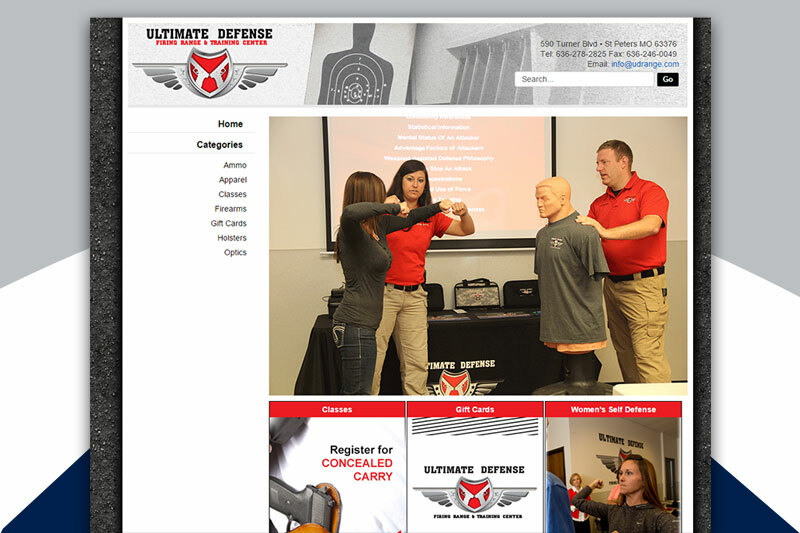 See some examples of hosted sites.